Phil Chillemi began his real estate career in 2012, quickly becoming one of the leading agents on the Northern Gold Coast, specialising in Hope Island and surrounding areas. Working in what was one of the hardest hit markets in Australia during the Global Financial Crisis, McGrath CEO John Mcgrath commented that Phil's results were "unprecedented and in his first year of selling real estate full time, he did as well as anyone has in the history of our company". After 3 years in a selling role, Phil went into partnership with Harcourts Coastal Director Dane Atherton to open Harcourts Coastal Hope Island in September 2015. With a strong passion for developing talented individuals into successful real estate agents, Phil grew the Harcourts Coastal Hope Island team to more than 20 sales staff within 18 months. In just 3 years of operation, the Harcourts Coastal Hope Island team have achieved more than $450 million in sales and are now ranked 6th in Australia within the Harcourts Group. In its first full year of operation, Harcourts Coastal Hope Island finished 3rd in Queensland in the Harcourts Group and within the top 1% of all real estate offices in Queensland. Harcourts CEO Brendan Whipps was quoted as saying "Harcourts Coastal Hope Island is the greatest start-up success story I have seen in the real estate industry in Australia". A self-confessed sports fanatic, Phil moved to Europe at just 19 to pursue his motocross dreams, spending six years racing professionally. Returning to Australia in 2006, Phil ran a personal training business, working with numerous elite professional athletes from various sports including NRL, Super 15 Rugby and golf. This was a great learning experience in developing individuals to achieve their full potential. On a personal note, Phil is a happily married father of two young sons, a baby daughter and is passionate about family, fitness and competing in off-road motorcycle racing. Andrew is a results driven professional with hands-on operational experience across a wide range of business functions. Proficient in achieving positive outcomes within highly client-focused organisations across the marketing, construction and real estate sectors, Andrew brings over 7 years of real estate experience to the team. Andrew has special interest and experience in residential development, and willing to share this expertise for the benefit of his clients to secure unique opportunities. With Andrew’s client focused approach, this promotes a motivated drive towards accomplishment and success for all parties, buyer and seller. Andrew understands the importance of strong communication, an enthusiastic attitude, ethical manner and high level of attention to detail to maximise results for all parties. Andrew has been residing on the Northern Gold Coast for over 27 years and has gained valuable insight over the last decade of the local property market and looks forward to assisting you with your next sale or purchase. On a personal note, Andrew competes in Queensland’s triathlon series and is a devoted husband and father of his 2 year old twins. Coming from a strong background in sales, customer service, property development and management, Emma’s love for relationship building and property naturally transitioned her into residential Sales. 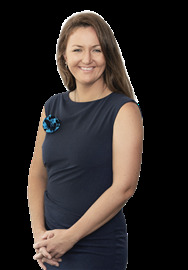 As a long standing resident and immersed in the Gold Coast’s Northern Suburbs Emma has deep knowledge of the local market and has been involved in record real estate sales. Emma is a natural people person and is tenacious, enthusiastic and hard working in her determination to ensure that her clients expectations are not only met but exceeded beyond expectations. Emma’s provides a direct, professional and transparent approach and always goes above and beyond for buyers and sellers alike. I aim to understand my client’s needs and goals and then tailor a plan to achieve them. 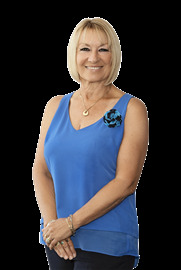 Lisa has lived on the Gold Coast since 1974 re-locating from Manly Beach in Sydney, where she worked for an independent Real Estate Agency. Owning The Professionals Real Estate Agency at Mudgeeraba for 13 years and now having worked for PRD Nationwide for over 13 years makes her a wealth of Real Estate knowledge. Now working with an independent company- Realtor Sales in Monterey keys her level of expertise is one to be proud of. I am as passionate about people as I am about property, I do everything possible for both seller and buyer so they both have the best possible experience regarding their Real Estate needs. Its important to build strong relationships with clients and that they know they can rely and trust you. I offer a high level of service to each and every Owner. I pride myself with repeat business, there is no better compliment than a referral from a past client or having their property to re-sell. The same with buyers I work tirelessly to help them find the right property for them. 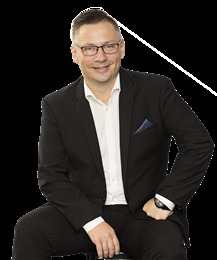 Mark joined the Real Estate Industry in 1990 following a very successful career in both the Building and Service Station Industries where he established and ran his own Company. Mark is a fully qualified Real Estate Agent and was the sole owner of the REALTOR brand, which he initially established in 1996. Mark is also a fully qualified Architectural Designer and Licensed Builder. 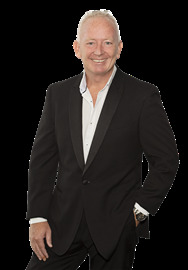 Mark’s initial foray in the Real Estate industry was with The Professionals Group, where he established himself admirably and was quickly elevated to be named as The Professional of the Year in 1992 and the winner of 5 of the 7 available awards in Queensland. Mark was recruited in 1993 to the PRDnationwide Head Office in Surfers Paradise as the Divisional Manager for the Groups Residential Division, a position he held until beginning his own office at Mudgeeraba in 1996. The Mudgeeraba Office quickly became recognized as a leader in the industry on the Gold Coast and then followed the opening of his second office at Helensvale. Following many successful years running the two offices, Mark sold his interests in Mudgeeraba and now focuses 100% of his time in the Northern Gold Coast area with the Harcourts Hope Island team. Mark continues to sell to his large database of established clients and referrals. 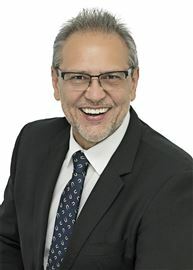 If you are looking for the most professional and experienced sales person available to assist you with any of your real estate needs, you can feel confident is calling Mark today. Michelle’s real estate career history is filled with a suite of sales ranging from marina berths to mansions. Her strengths lie in her energy and enthusiasm and her eye for detail. Hope Island is Michelle’s home, and buying and selling property: her true passion. Michelle loves the thrill of helping people achieve their goals and makes sure the whole buying and selling experience is as stress-free as possible. She dedicates her time to studying the community and local marketplace to be the “go-to” property specialist for the local Hope Island/ Sanctuary Cove area. Michelle has very high standards and is a natural communicator. She cares about people and is honest and kind. With Michelle, you will immediately feel at ease. Michelle’s previous roles in public relations and marketing, as well as her University of Queensland degree in Journalism, stands her in good stead for marketing and selling property. 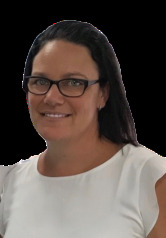 Michelle’s career history includes Media Manager for a large National Seniors’ Corporation; Media Manager for the Southeast Region of the QLD Police Service; Public Relations Consultant for a private Sydney/Brisbane PR firm; and Senior PA for a Japanese Trading Co in Sydney. Michelle has a wealth of local knowledge and real estate experience to intuitively understand what people want and the kind of property they are looking for. On the other side of the coin, Michelle can sell real estate. Creatively, with a touch of modern technology and good old fashion “thinking” and common sense. “My recipe for success? Lots of enthusiasm with a little twist of creativity. What is my point of difference? It’s the thrill and challenge involved in the buying and selling process which comes naturally to me because I love what I do. Hope Island is my home…I have bought and sold several times throughout the Gold Coast so I pride myself on understanding the local market. Nikki has lived within Monterey Keys / Oyster Cove since 2009, she loves the lifestyle the Northern Gold Coast offers and holds excitement for the growth still to come for the area. On a personal note Nikki, has achieved a number of accolades outside her working career in holding the record for fastest female in Import Drag Racing in Australasia for over 4 years. With the perseverance to achieve and exceed expectations both within business and personal life is a testament of her commitment and ability as an individual. Nikki is passionate about real estate and this shows when dealing with clients, with a background of business sales development and administration Nikki prides herself in honest communication & exceeding her client’s expectations. Stephen is a friendly, positive and professional individual. His business purpose is to deliver the best results and service each and every time for his valued clients Over the past 15 years Stephen has obtained a valuable skillset throughout his professional career in fields such as Business management, Executive management (Hospitality) and Security management. Stephen is a great communicator, has excellent negotiation skills and work’s tirelessly to ensure that when he deals with your real estate needs, they are met with professionalism, dedication and are kept stress free. It is the above experience that has helped Stephen make a successful transition over to his Real Estate career. Stephen also loves the community that he lives and works in and is involved in local sporting organisations through his children. In closing, Stephen will work tirelessly and give 100% effort in getting the best possible outcome each and every time for all of his clients. 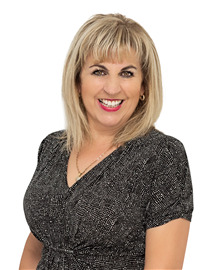 Tammy has been a proud resident of the Monterey Keys area of Helensvale for the past 5 years, Integrated in the community Tammy has a vast knowledge of both Helensvale and all immediate surrounding suburbs. Working in customer service for the past 15 years in numerous industries Tammy has developed crucial skills and knowledge of which have been pertinent to her successful as a Sales Consultant. Whilst driven, motivated and dedicated to all aspects of selling your property Tammy is also warm, friendly and approachable and believes laughter to be the best medicine. Accompanied with her passion for real estate Tammy also enjoys various sports of which intergrate her love of the water most of all surfing ,since the age of 12 Tammy has competed in small local competitions in Nsw receiving numerous awards throughout the years. On a personal note Tammy is a proud mother of two young boys Xavier and Hunter and is passionate about family, life and success. "My clients needs are my number one priority, and the results are a by-product of my hard work" After working in various customer service roles for over 15 years and winning numerous awards for his performance and dedication, Veli has finally answered his true calling and joined the Harcourts Coastal team at Hope Island as a sales specialist. While his passion for real estate grew he saw immense changes and the importance of the housing market on the North Gold Coast. His interest in property started early on whilst buying, selling, renovating and building houses over this time has given Veli a fantastic knowledge of the area and the real estate market. Driven by his passion for customer service and the property industry, Veli understands that putting a clients needs comes first above all else, all the time with no exceptions. Veli's confidence and hard work ethic combined with incredible time management and attentive communication sets him apart from the rest. "I consider it a privilege when a client trusts me to put their most valuable asset in my hands, so I work very hard to deliver the best results possible while educating the client on the market conditions and taking the stress and pressure away in an easy smooth transaction whilst achieving top results" Due to his friendly and approachable nature, strong customer service focus and attention to detail, combined with life skills and hard working attitude towards achieving results for his clients, Veli is a sure asset to have on your team. Known to be passionate and being community oriented, Natasha moved to the northern Gold Coast in late 2017. Coming to work for Harcourt Hope Island was a natural transition due to her affiliation with good service and a desire to make a positive difference in investors experience with property portfolios. With a broad history across property sales and management since 2008, she has given home owners/investors the support and encouragement to make informed choices. When she looks after your investment property you would think it’s her own. She’s got something to offer no other property managers can! And only the best will do! See her fresh personal management style.